- or pay somebody to do it for you. Are 'creating art' and 'completing a tax return' two activities which you regard as totally incompatible? The Telegraph - ​HMRC targets Etsy, eBay and Gumtree sellers – but when is your hobby taxable? 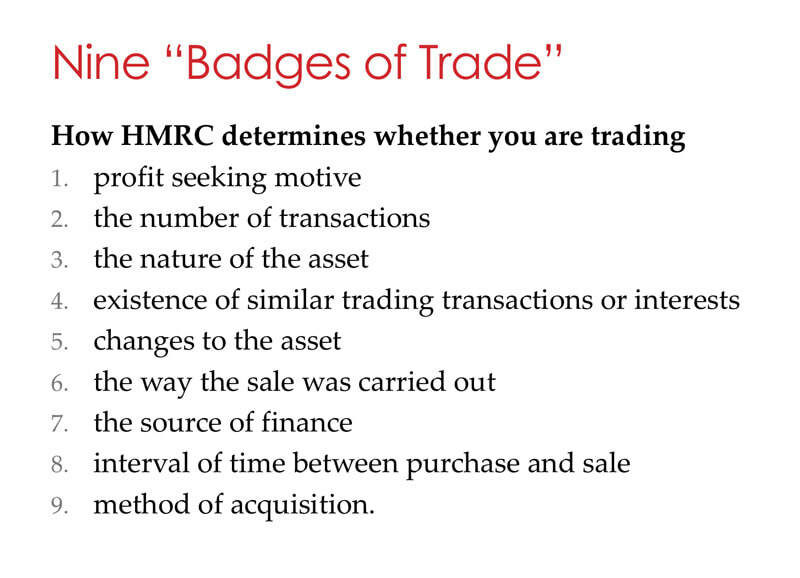 Summary of Nine Badges of Trade as per HM Revenue & Customs - you only need one to be designated as trading! Do not leave your paperwork to the year end. I've often come across artists who tell me they're not good at book-keeping or keeping track of their records of income and expenditure for tax purposes. This is a round-up of the websites, blog posts and articles about tax which have been written with artists in mind. when hobby artists need to complete tax returns. 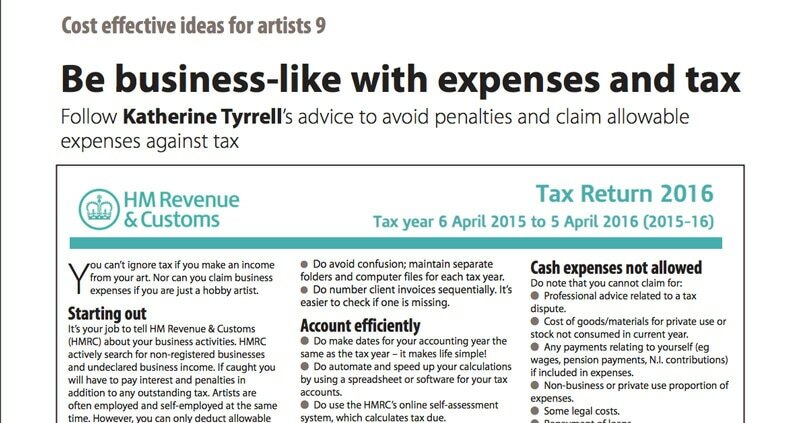 Ten Tax Tips for Artists - Here's Ten Tax Tips for Artists - some of which are reminders for me this time next year! Plus some links to guidance on what to do and what not to do! In this section I'm listing the blog posts I've written which cover tax matters. Just in case you know you read it on the blog but now can't find it again! The bonus if you're selling art - but not a lot!- about the tax free allowance for hobby income. Want to set up an online art gallery with ecommerce? - there are tax implications. Includes a checklist for how not to find yourself in trouble given tax authorities now pay a lot more attention to online businesses. Income Tax: The nine badges of trade - ​You are assessed as trading and MUST do a tax return if you exhibit one of the nine badges of trade. These are tax blogs written by people professionally qualified to comment on tax - who provide accessible advice written for the small business person. Taxation of Prizes and Grants | Artquest - Leading judgments of the courts in relation to the taxing of prizes orgrants in recent years have amplified and clarified the basic statutory position. Bartering Art - How to Do It Right | Trades, Exchanges, Taxes and More | Artbusiness.com - Even though no cash changes hands between the artist and the store, appropriate state, local, and federal taxes must still be paid (on this as well as on any barter transaction). Tax on self-employment income while remaining employed Highlights the differences in the tax system between running a business and just having some extra casual income. This book focuses on communicating in plain English rather than "accountant speak" despite the fact the author is a fully qualified and practising certified accountant. RECOMMENDED: Rated an average of 4.4 out of 5 stars on Amazon.com by 5 reviewers - there are some very complimentary reviews! What aspect of tax puzzles you? It's useful for me to know what questions you want answers to. Ask Away - using the contact form. Issues raised will ONLY inform the future development of this section of the website and my blog posts. Your question will not be published. Your question will not be answered (see near the top of the page for the reasons why not). What's your tax question - in general terms?